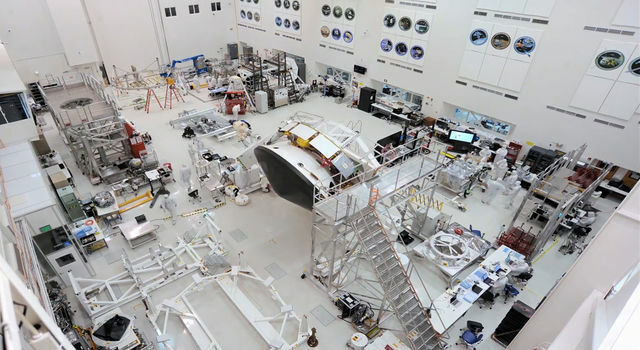 Scientists using data from the lunar-orbiting twins of NASA's Gravity Recovery and Interior Laboratory (GRAIL) mission are gaining new insight into how the face of the moon received its rugged good looks. A report on the asymmetric distribution of lunar impact basins is published in this week's edition of the journal Science. 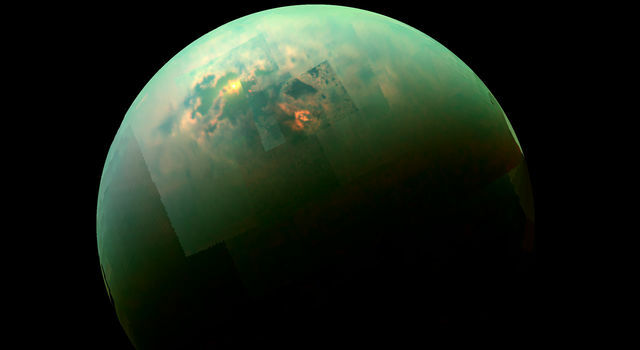 "Since time immemorial, humanity has looked up and wondered what made the man in the moon," said Maria Zuber, GRAIL principal investigator from the Massachusetts Institute of Technology in Cambridge. "We know the dark splotches are large, lava-filled, impact basins that were created by asteroid impacts about four billion years ago. GRAIL data indicate that both the near side and the far side of the moon were bombarded by similarly large impactors, but they reacted to them much differently." Understanding lunar impact basins has been hampered by the simple fact that there is a lack of consensus on their size. Most of the largest impact basins on the near side of the moon (the moon's face) have been filled with lava flows, which hide important clues about the shape of the land that could be used for determining their dimensions. 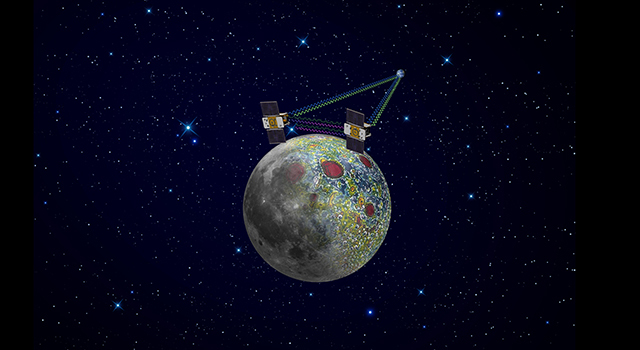 The GRAIL mission measured the internal structure of the moon in unprecedented detail for nine months in 2012. 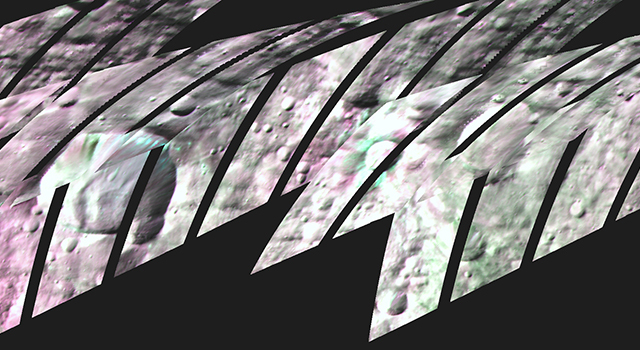 With the data, GRAIL scientists have redefined the sizes of massive impact basins on the moon. Scientists have long known that the temperatures of the near-side hemisphere of the moon were higher than those on the far side: the abundances of the heat producing elements uranium and thorium are higher on the near side than the far side, and as a consequence, the vast majority of volcanic eruptions occurred on the moon's near-side hemisphere. 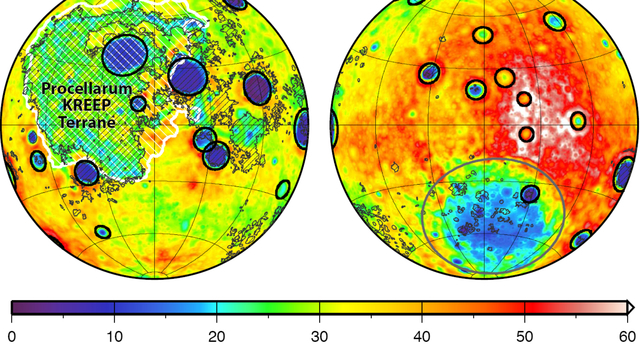 "Impact simulations indicate that impacts into a hot, thin crust representative of the early moon's near-side hemisphere would have produced basins with as much as twice the diameter as similar impacts into cooler crust, which is indicative of early conditions on the moon's far-side hemisphere," notes lead author Katarina Miljkovic of the Institut de Physique du Globe de Paris.